The Cadiz Collection features transitional and contemporary multi-textured designs in saturated raspberry tones and cool hues of gray. The incredibly soft, high-low designs are at once striking and comfortable and suited for settings that range from the super casual to the super chic. The dramatic patterns of heirloom Serape, Sultanabad and Oushak rugs are recreated for 21st century lifestyles in the Austin Collection. Power-loomed of long-wearing, easy-care polypropylene, each rug stands up to heavy traffic. This rug adds timeless beauty to entry hall, living room, kitchen and more. This is a great addition to your home whether in the country side or busy city. 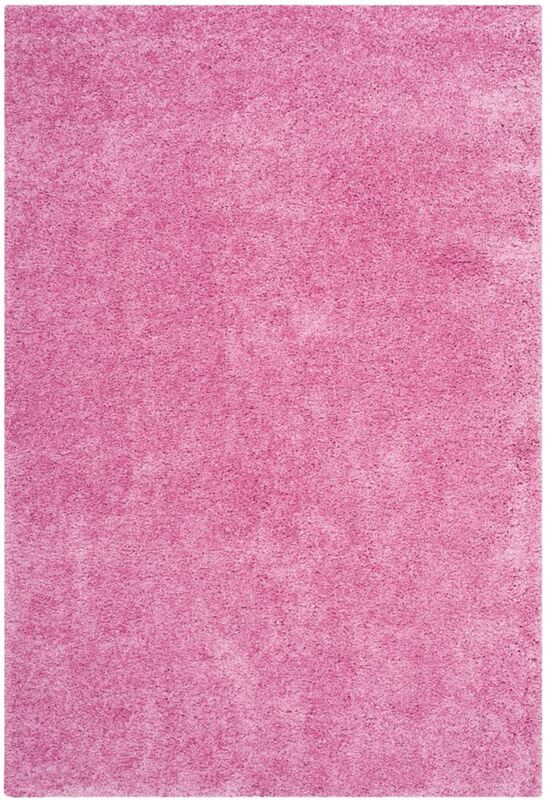 Shag Felicia Pink 5 ft. 3 inch x 7 ft. 6 inch Indoor Area Rug The casual West Coast aesthetic is celebrated in Safaviehs dramatic California Shag collection designed for added luxury with a super dense pile weight of 4.5kg per square meter. This wonderfully soft carpet is power loomed of polypropylene yarn for outstanding quality and an unusually plush texture and softness underfoot. This is a great companion for your home whether in the country side or busy city.